We know that our products are very tasty but consuming too much, too fast, can lead you to an uncomfortable high that may be stronger than anticipated. 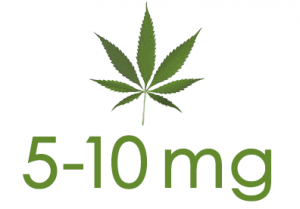 We’ve heard of people consuming too many edibles because it takes longer to feel the effects, so we’ve put together some simple dosage guidelines in milligrams to help you determine how much is right for you. Test the waters slowly and work your way towards the desired level. You can always eat more after you know how your body processes cannabis. 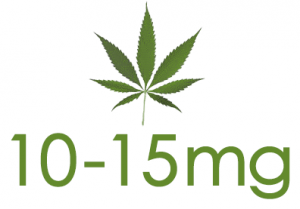 10mg has been established as a single dose amount. 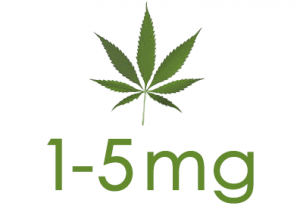 Eating more than 10mg is not recommended for everyone. Reserved for the veteran cannabis users who consume edibles often and have a higher tolerance, usually due to a medical condition. AND RECEIVE CUSTOM CANNABIS PRODUCTS JUST FOR YOU! ﻿Your browser does not support iframe. Cannify Does Not Offer Medical Advice- Cannify and the Website do not provide or offer medical diagnosis, treatment or therapy suggestions or advice, or related recommendations. The purpose of the Website is solely as an educational tool and as a research tool for users who want to learn about studies and research findings concerning the pharmacological effects of cannabis, related Cannabis based products and their constituents. No matter how many milligrams of cannabis you consume, never operate a vehicle and remember to Relax Responsibly.